Media PA, also known as "Everybody's Hometown" is a sleeper of a town for the food scene. 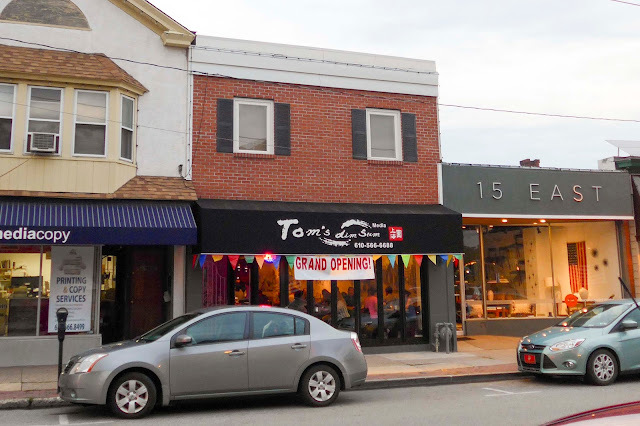 There are always new openings and closings, and a variety of choices not seen in most Main Line area towns. For instance, you can eat some of the best Isreali food around at Desert Rose and get some killer hoagies and cheesesteaks at low key Wayside Market , not to mention a number of other places where you'll find French/Thai and (delicious) White Guy's Mexican. It also has one of the best walkable main streets in the area, and lots of shops. It is a hidden gem of Delco. When I heard they were getting Dim Sum, it meant another option for soup dumplings without having to drive all the way to Chinatown. This is Tom's second location, the first one is under the convention center where the original Dim Sum Garden used to be. Confusing, I know. 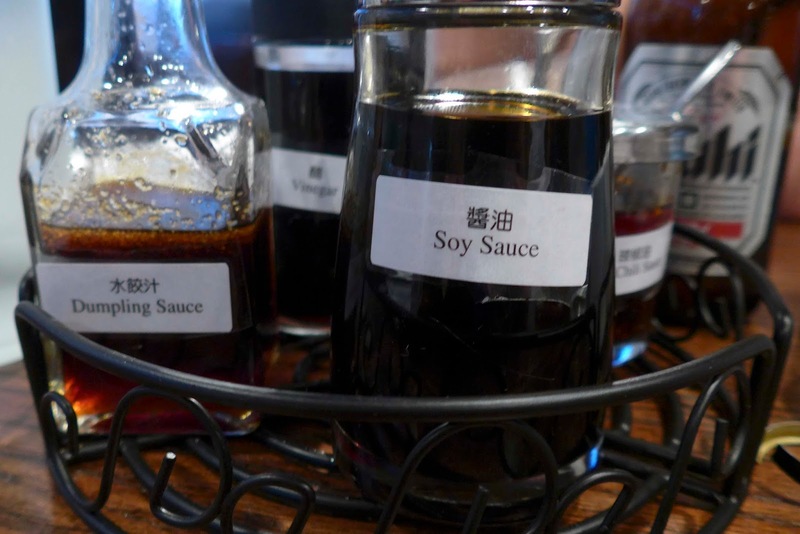 They offer the standard sauce options (dumpling, soy, vinegar, chili oil). It's a BYOB and they take cards. All things to like so far. One of my staples is cold cucumbers. Although I prefer the cukes to be seeded, these had a better sauce than usual (though I suspect it is either a variation of the dumpling sauce or the actual sauce itself). 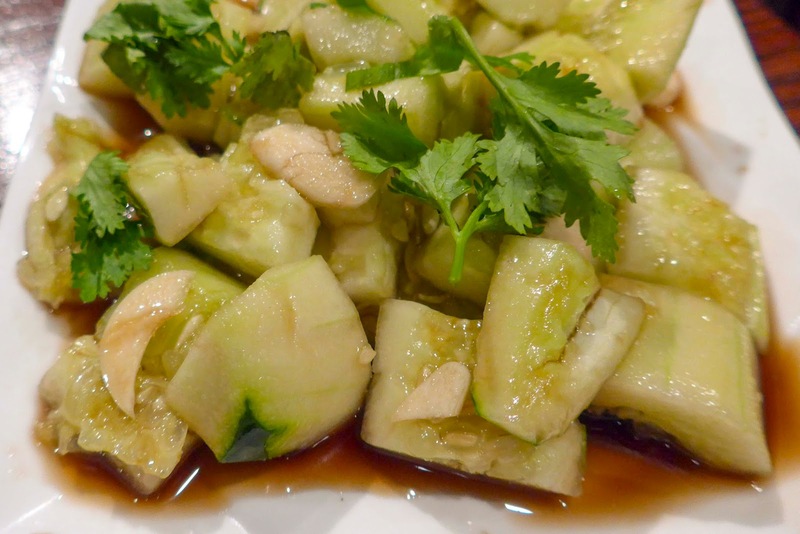 I love bites of cilantro in with my cucumbers. Sweet, tangy and salty, just missing a little heat. 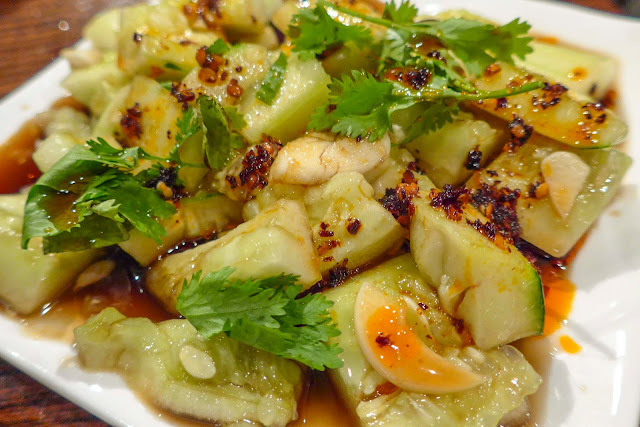 I always add a couple spoons of chili oil to the mix and it plays very well together. 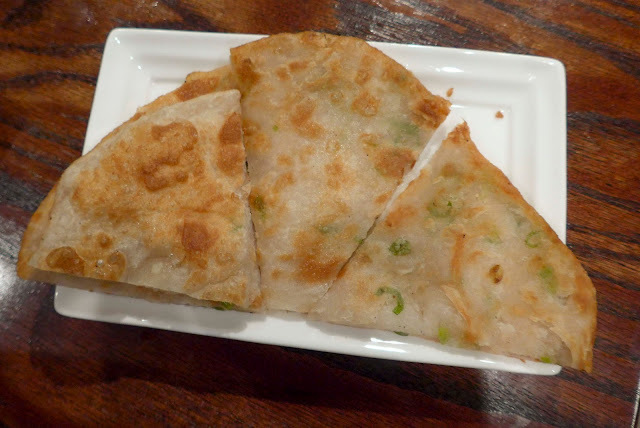 Another go-to is the scallion pancake. 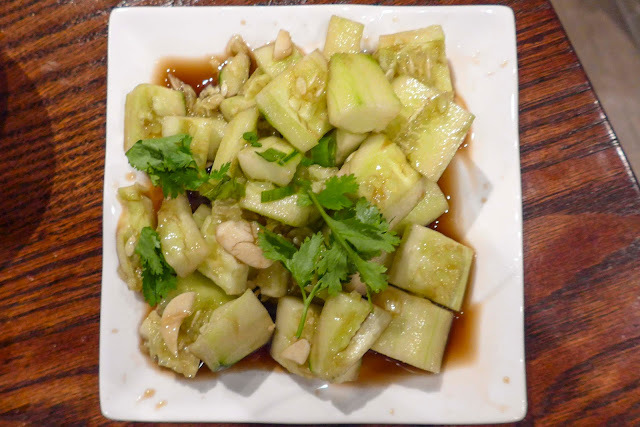 A flaky dipping vessel for leftover cucumber liquid, these slices generally get a nice bath while I eat a soup dumpling and then when they're fully saturated and sopping with sauce, they get scarfed down. 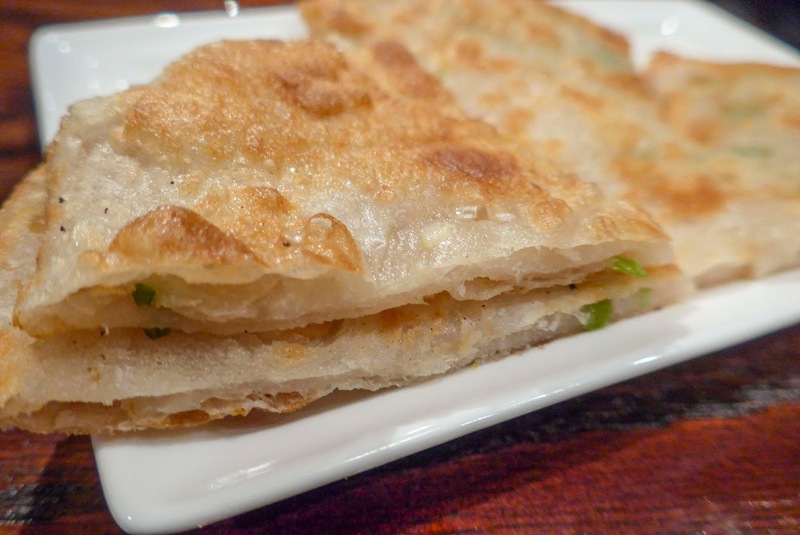 The flaky layers have just enough glutenous chew, coupled with a crispy, browned outside. They are simple and delicious. They can be a bit greasy at times, but when you do the aforementioned ginger soy bath, you'll tend not to notice. Now to the star. 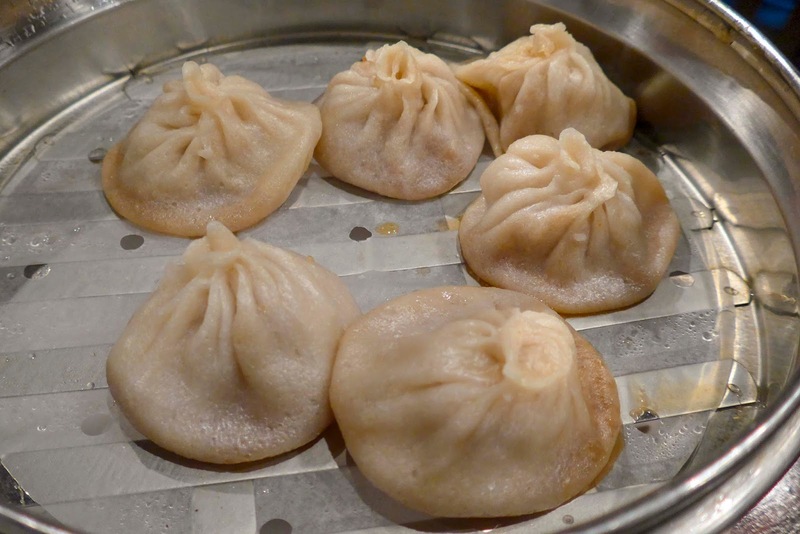 If you have never had soup dumplings, I can't recommend them enough. Forget everything else on the menu. 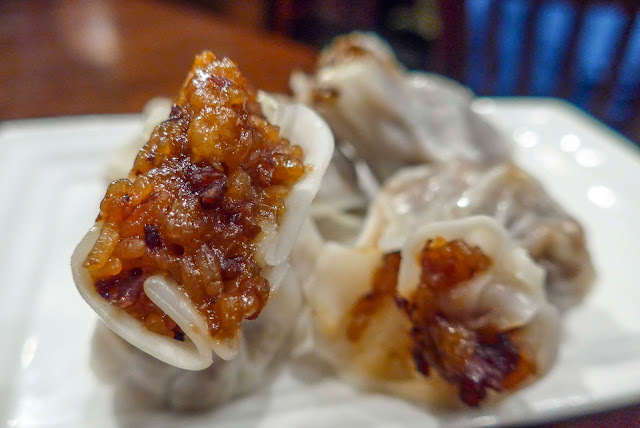 Steamed wrappers filled with a delectable pork meatball that is swimming in fatty broth. 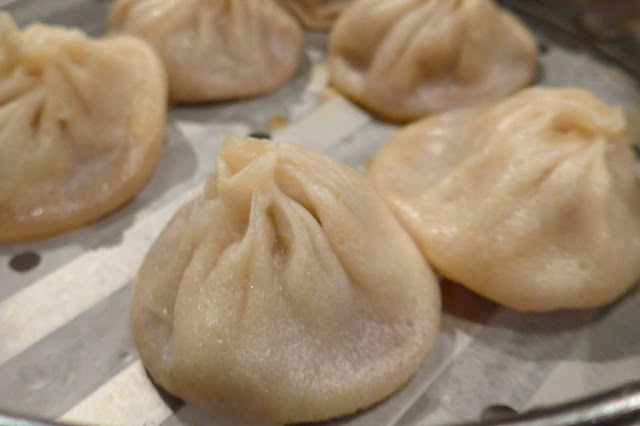 Take the dumpling by the balloon knot on top, put it into a soup spoon, and slightly tear the top open. The lets the HOT liquid inside cool slightly and allows you to add in any additional sauces you may want. I generally do a little dumpling sauce and chili oil right into the top to add the unctuousness of the broth inside. Be careful not to spill it out. At this point you have two choices – bite through the skin and take half of the meatball inside, slurp the broth, or take the whole shebang (make sure its cool enough) in one go. I go with route number two because I am both fat, and I want the full flavor experience. Plus this means that while the suckers you are eating with are trying to save droppings of broth and juggle the spoon, you are reaching for your next victim. I was here when they first opened, and they RAN OUT of soup dumplings. This was a tragedy. I only got one order, and was then informed of the misstep. 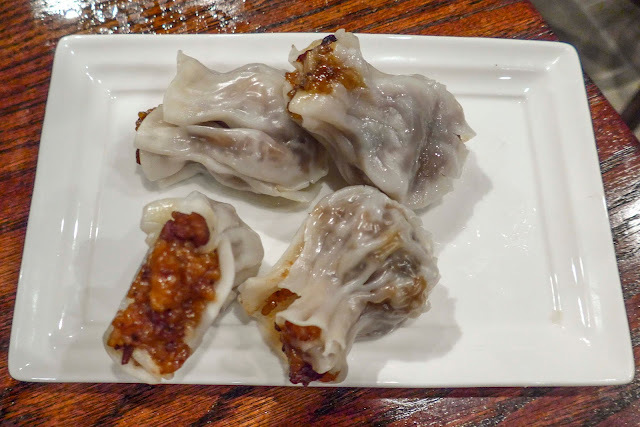 Out of my mind, I ordered some Shanghai dumplings (at the waiter's request) but knew they would not be the same. Or even close. I forgive them this error, only because I have revisited several times, and on each of those consecutive trips the service and food has been great. 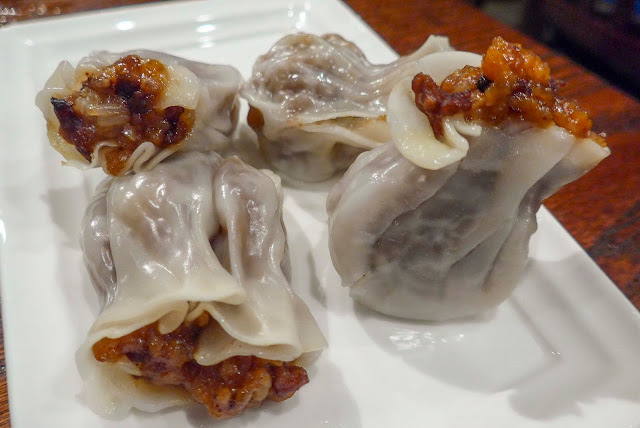 These sweet and sticky dumplings were good, but lacked the soupy goodness of my favorites. A couple of dips in dumpling sauce made for a salty contrast to the sweet porky rice inside. When you go, skip the soups and Americanized entrees, and just order the hell out of the soup dumplings. You can thank me later.